When it comes to travel, we all have those little anxieties and worries that get in the way of us relaxing. It's estimated that one in ten of the world's population suffer from anxiety caused by flying or fear of flying. For most of us, the trip to the airport means worrying about what we've left behind and panic buying 'essentials' in the departure lounge. 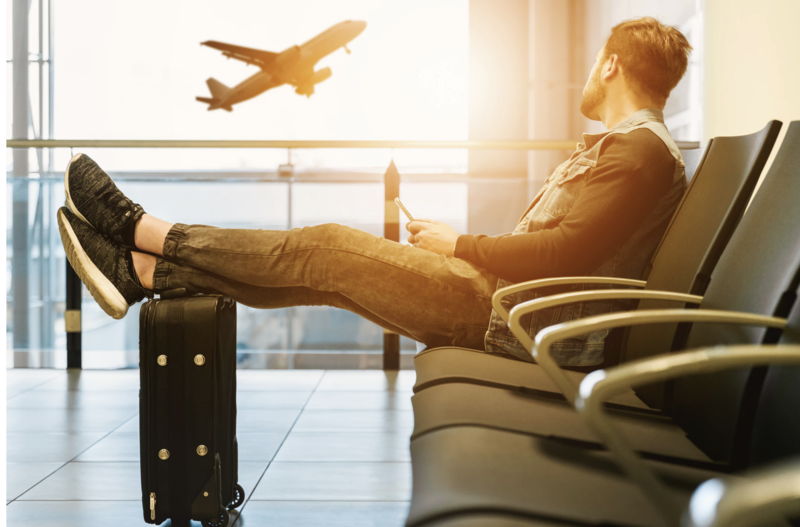 Even if you're a regular traveller, between getting through security and actually getting on the plane, there are a number of factors which can raise our blood pressure. So we thought we'd share some of our top tips to travelling stress-free. 1. Prepare as much as you can in advance! From your outfits to your beauty products, everything you pack should be multi-functional to ensure you can pack smarter. Whether it's a bath & body oil that functions for a bath time treat or as an indulgent post tanning moisturiser, or a dress that works for day or night time. Taking things that you can use more than once is key to feeling like you've packed comprehensively. As much as it's tempting to go for a glass of wine or a beer in the departure lounge, or grab a huge coffee as you rush for a red-eye, try to resist! Caffeine and alcohol are among the worst things we can have when we travel. Not only do they both leave you dehydrated (the opposite of what you want to be before you board the plane), they are also both linked to triggering anxiety. Alcohol because of its depressive effect, particularly when we're feeling the effects wear off, and caffeine because it triggers our fight or flight mechanism! Leaving yourself plenty of time before a flight can work wonders for your stress levels, and it means you can enjoy more time relaxing in the departure lounge or even treat yourself to a spa treatment, like one of our fantastic Maddi Alexander Aerospa treatments. From their speedy Treat My hands Serenely 10 minute hand treatment to their Express Evocative Shoulder Massage, treatments are designed to be offer short but indulgent ways of unwinding before you catch your flight.